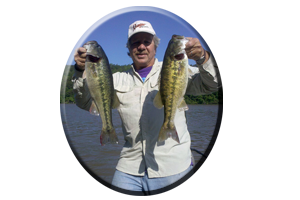 Like any Coosa River reservoir it can be difficult to narrow down the fishing to any specific area. On Neely Henry, low water (1-3 feet) and cold, winter days influence your predictions on where they should be. Currently down 1-2 feet for winter pool, means some bass are positioned in or near deep water. However, “deep” on the Coosa River System, usually means exploring the depths of 5-15 feet. 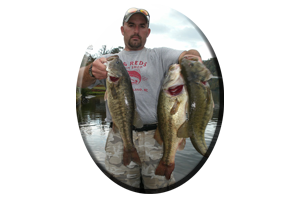 Bass are deeper at times, but rarely discovered in a feeding mood. Schools of bass grow in size (or numbers) with each passing week, during winter, on Neely Henry Lake. Spotted bass and Largemouth bass usually travel in groups of the same weight class, but mixed bags can hold in the same areas as they follow (or await) the baitfish moving about the lake. Changing conditions shift baitfish about as they drift-or are blown over deep water structure. From the upper river-type terrain to the lower lake, creek mouths are holding spots for sizable numbers of bass as they feed each day. All of these variables position bass on upper and lower points leading into these slack water areas. They also hold along ledges and drop-offs, flats, over submerged bars and around submerged humps. Bass of both species can be found around areas where rock bluffs meet creek mouths and even on old roadbeds that span the mouths of many major feeder creeks on the lakes lower end. Exploring these low-water areas this winter, anglers will discover cover that bass relate to many unseen hideouts, places many other anglers overlook. With some depth finder use, map study and marker buoys you can find (and mark) areas that are usually 3-5 feet deeper (at full pool) and oftentimes a honey hole for the remainder of the winter. Lures mentioned for Weiss Lake will also take bass in these deep water areas. Look for baitfish or feeding bass to assure active fish in these areas. Upriver, about one mile above Gadsden City launch, is a warm water discharge. Check it out and the banks below it. River bends and creek mouths hold bass throughout the winter months in these river-type lake headwaters. Again, use caution when navigating this lake in winter during low pool. * Or you can call always call on Reeds Guide Service (205) 663-1504 for fishing Neely Henry lake or any Alabama lake, year round! * Looking for that perfect Christmas gift? Always call on Reeds Guide Service! Birthdays, Fathers Day or any occasion, for those loved ones that love to fish! * Gift Certificates are available online by e-mailing alabassgyd@aol.com . * NOW AVAILABLE – The “Reed Montgomery signature series” perfect Zara Spook Fishing rod! Created by: www.tigerodz.com made right here in Alabama! Tiger Rodz. has a rod for every type of fishing situation. Special order rods and fly rods too! * See: www.tigerodz.com for all kinds of rod ordering info, special rod prices, rod specifics and testimonials from anglers that have purchased their first Tiger Rod! Tiger Rodz make great gifts for any occasion! * Looking for new or used boat? See www.airportmarine.com first! For all your boating needs, parts and repairs. See their tournament trial link: www.airportmarineteamtrail.com Alabama’s best paying bass tournament trails and annual events! Be safe this winter season! Always wear your life jacket and outboard motor kill switch and always dress warm and bring along spare clothes! 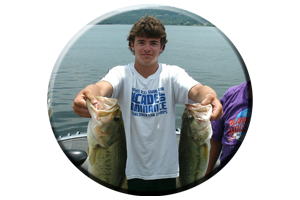 * Looking for the best bass boat in the world? * Looking for fishing rods, reels, fishing tackle and hunting items? 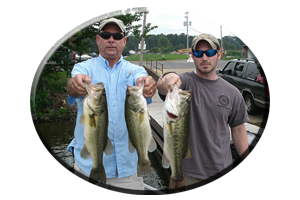 Alabama's Oldest, Professional "Bass Fishing Only" Guide Service For Over 40 Years Fishing all of Alabama's Lakes for all Species of Bass and Striped Bass. 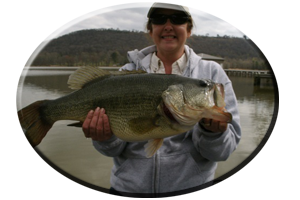 Springtime Bass Fishing in March, April and May for Big Bass on Alabama's Lay Lake! A Guided Fishing Trip to Any Lake in Alabama makes a great gift for Christmas or any ocassion! Fish Shallow or Fish Deep Water During August in Alabama? 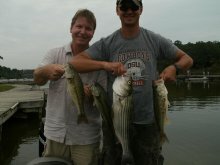 ©2011 Fishing Alabama. All Rights Reserved.